It is not new news that the current Malaysian economy is not at its peak, and according to a recent data disclosed by Focus Economics, the unemployment rate for Malaysians in 2015 grew to 3.3% from 3.0% for 2014. With this, the local economic growth too decreased by 1% from 6% in 2014 to 5% in 2015. Even so, a recent comprehensive survey surprisingly showed that small and medium enterprises in Malaysia and Singapore are in fact doing better than the year before. 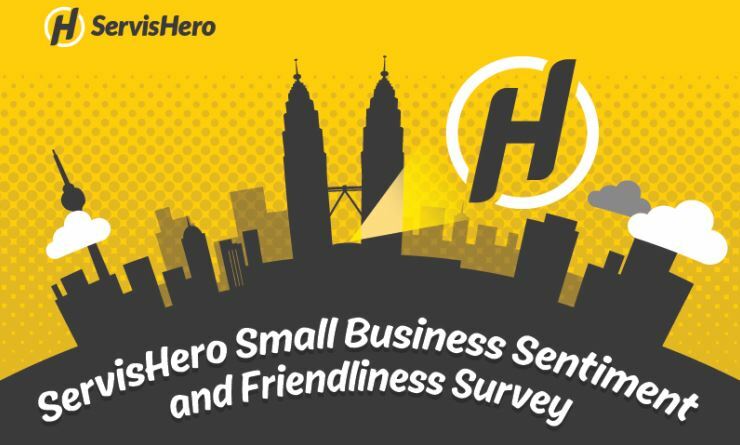 Local startup ServisHero conducted a Small Business Sentiment and Friendliness Survey in the month of April with their extensive database of more than 2000 small business owners and freelancers across Malaysia and Singapore. The study is intended to give an understanding on what factors affect small business owners and their entity growth. The survey had the respondents rate their past performances and future prediction for their entity, along 2 major metrics. The metrics are business performance and outlook (sentiment) as well as the ease of doing business (friendliness). As part of the survey, the 2000 respondents rated various statements relating to their business on a scale ranging from ‘strongly disagree’ to ‘strongly agree’. If you’re a frequent visitor of shopping malls in the Klang Valley, you might have noticed that retail occupancy have decreased. There are more empty lots that are boarded up with overly colourful wallpaper with the big words “MORE FUN COMING SOON” running across it. Problem is, the “more fun” never seems to show up. At the end of last month, managing director of real estate service provider Savills Malaysia, Allan Soo shared that retail space is expected to reach a threshold of 60 million sq ft in 2017 (up from the current rate of 56 million sq ft), which will affect shopping centres and hypermarkets in the Klang Valley. There’s no doubt about it, business is tough. Meanwhile, according to the survey carried by ServisHero, 63% of the SMEs in Malaysia and Singapore that were respondents said that their business are performing better in 2015. Additionally, 65% of them reported an increase in client base over the past 6 months. Businesses who are 1-2 years old hold the highest optimism for the future of their business, with Malay respondents exceedingly more optimistic than their Chinese and English counterparts. Competition, hiring of labour (high cost and poor quality), and access to financing needs were identified as the three major concerns of SMEs. 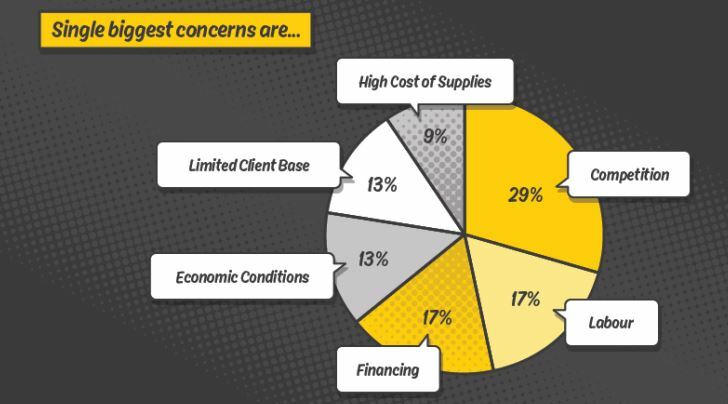 The key takeaway from the survey is that SMEs are generally isolated from economic trends and conditions, thereby making them more hardy by nature. 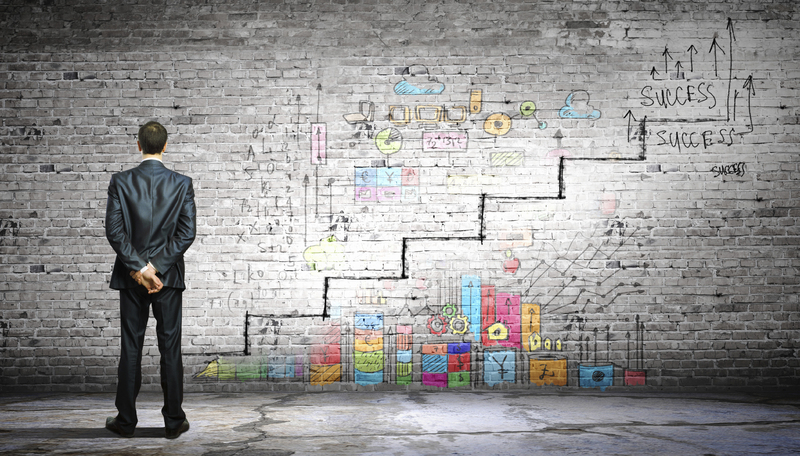 SMEs are more resilient during recessions and provide a steadier alternative for employment. ServisHero concludes that SMEs are the life-blood of South East Asia’s economy as employers and drivers of regional growth, and contributors to innovation. When it comes to business research, publicly available statistics or larger businesses typically overshadow smaller ones. Small businesses are usually not part of a trade organisation, and do not have any dedicated body that voice their opinions since small business owners are harder to reach. ServisHero collects information about small businesses not just to analyse business plans, but also to understand their struggles so that functions and services can be molded to suit the needs of small businesses. This is so that small businesses and service providers can overcome those challenges and raise their respective income levels. ServisHero’s platform allows for daily interactions with more than 2000 service providers across both Malaysia and Singapore. As such, they thought it fitting to make use of their aggregated resources to gather an accurate representation and segmentation of the views of small business owners. 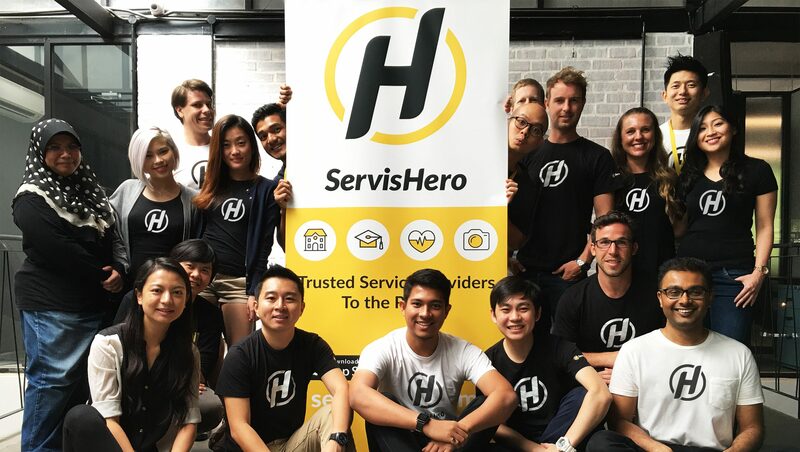 “Our aim is to provide meaningful and actionable data to businesses and governments to support SMEs—the backbone of our economy and of ServisHero,” said Karl Loo, the CEO and co-founder of ServisHero. Big data is increasingly recognised as an important element to success in businesses, and this is a fact that is acknowledged even by government bodies, such as MDEC (Malaysia Digital Economy Corporation). MDEC has been pushing for a data driven future with their goal of building a vibrant and dynamic Big Data Analytics industry as a key component of ICT services in Malaysia. 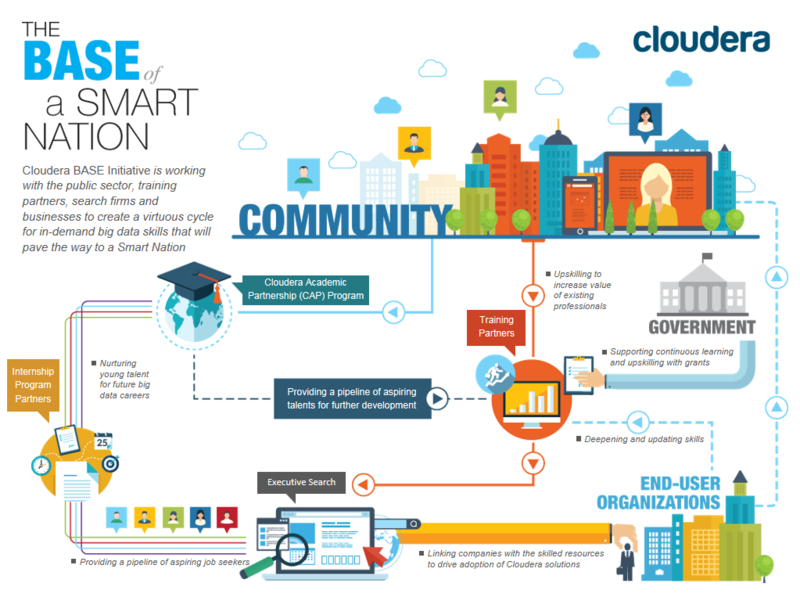 One way to creating awareness towards the usage of Big Data is through the promotion of data science related post graduate programmes by Institutions of Higher Learning (IHLs) in Malaysia and online courses such as MSC Malaysia MyProCert (SRI) – Data Science Massive Open Online Courses (MOOC) that provides financial incentives to Malaysians who are interested to enhance their careers in the Big Data industry. MDEC also strategically partners with players who are aligned with similar goals to turn Malaysia into a developed digital economy that connects and empowers the government, businesses, and citizens. Just last month, MDEC has partnered with Cloudera—a global provider of the fastest, easiest, and most secure data management and analytics platform that is built on the latest open source technologies—to launch the BASE (Big Analytics Skills Enablement) initiative. BASE was designed to fill the skilled data professionals gap that the local industry is facing by matching trained data professionals to opportunities across sectors where their skills are required. It is no more sufficient to be running a platform and helping small businesses increase their exposure and customer base, ServisHero realised this when they started receiving hundreds of requests for all kinds of services on a daily basis. 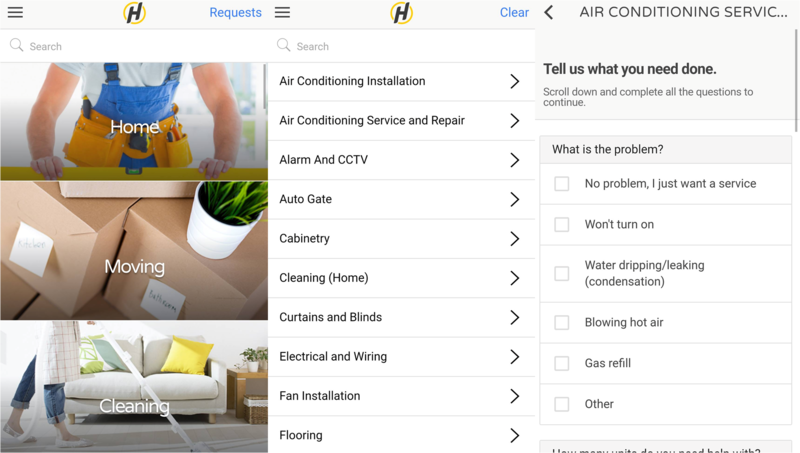 Due to their thorough quotation system, the right questions are asked to the users, and responses from them are received in a structured manner. And since they are a mobile-first platform, the use of geolocation is significant in their database. With these combined collected data, they are able to provide detailed info on specific scenarios. “We know, for example, who and which areas are spending the most on private tuition, or what is the average service fee for a 1.5 horsepower air-conditioning unit in Kuala Lumpur in comparison to Johor Bahru,” Karl elaborated to Vulcan Post. ServisHero is therefore placed in a unique and privileged position whereby they can use these data collected to get a pulse on business activity at small and medium enterprises across several markets and industries. Other countries such as the Philippines are already playing with the Big Data game. Just last month, ride-hailing platform Grab and the World Bank teamed up to launch a big data-based initiative to help the government make more effective decisions to ease their traffic congestion. “If governments can see precisely what traffic congestion looks like in the Philippines, it can alleviate its impact by optimising traffic signals, revising the planning of public transportation routes and schedules, and making effective decisions for implementation of key infrastructure such as overpasses,” said Deevya Desai, Grab’s regional head of public affairs, at the platform’s launch. In the same way, seeing as ServisHero has their feet dipped in many sectors, they are able to inform and report data to the relevant authorities so that the right actions can be taken for the purpose of optimisation. In the future, they see themselves contributing to lowering inefficiencies of businesses by creating data driven tools for local SMEs.